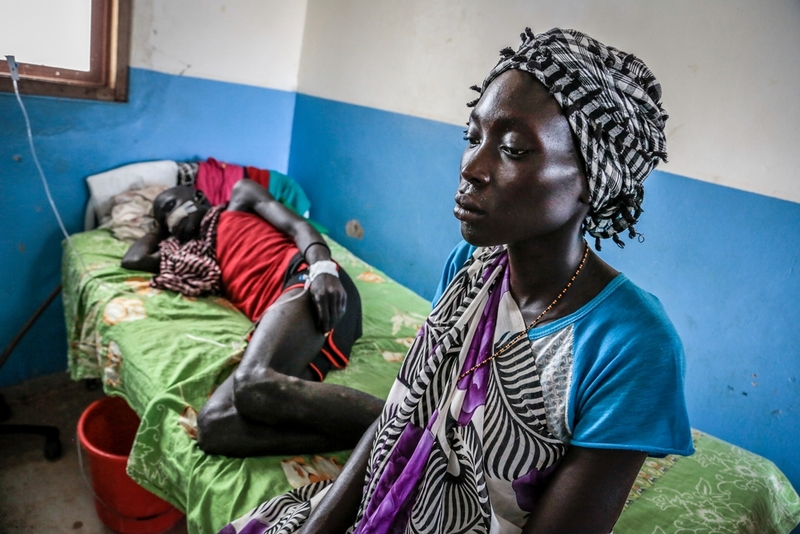 Spiralling violence in South Sudan’s Unity state is having a devastating effect on the civilian population and leading to an unprecedented humanitarian crisis, according to international medical organisation Médecins Sans Frontières (MSF). MSF teams in Unity state hear daily reports of extortion, abductions, mass rapes and killings, and have witnessed villages burnt to the ground and crops looted and destroyed. “As the conflict intensifies, violence against the civilian population is escalating,” says MSF emergency manager Tara Newell. Namiel's husband, Biel, thirty years old, was wounded by a gunshot during a cattle raid. The bullet entered by his neck and exit by upper lip. He was refered in Agok by the Mayom's MSF health center, 85 km away. He is really lucky to be alive, but he cannot be operated here because he needs a maxilofacial surgery. MSF’s compound in Leer, in southern Unity state, was looted on 3 October, forcing the team to evacuate and the hospital to close for the second time since May. Since then, the vulnerable population in parts of southern Unity state has been left without medical care, food support or other humanitarian assistance. The violence has forced the population to flee their homes repeatedly and to hide for long periods in the surrounding bush and swamplands. Unable to harvest their crops since the offensives in spring, and desperately short of food, people are surviving on whatever they can forage. 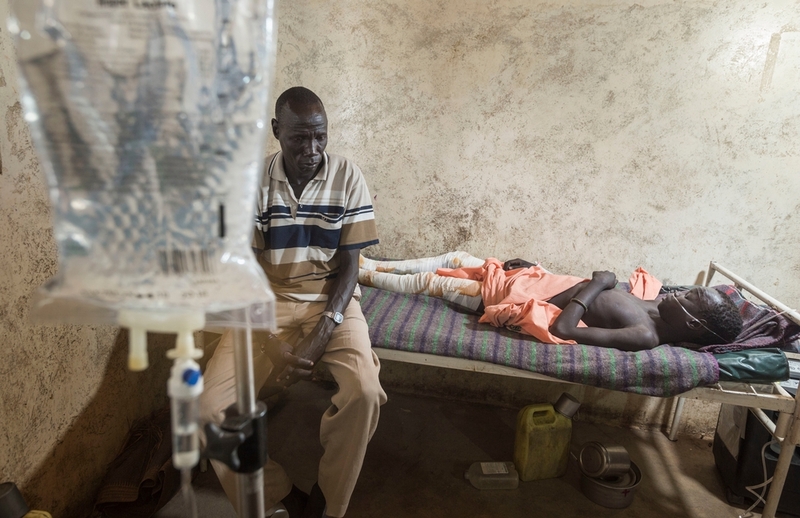 14-year old Kume Saadi Kuony recovers from his wounds at the MSF hospital in Leer. He was injured when a container full of unexploded ordnance exploded. It appears that people in the area had set fire to the grass around the container which is a traditional method of clearing and preparing the land for farming. Kume’s father is sitting on his bed. Worn down by the repeated episodes of displacement, many people are at the limits of their endurance. “Patients at our mobile clinics in Leer and surrounding villages described many months of insecurity,” says Newell. MSF teams had begun to observe a concerning malnutrition situation in Leer and surrounding villages in August and September, when rates of global acute malnutrition were estimated at between 28 and 34 percent. Despite extremely difficult access to the population, on the few days that MSF teams were able to assess child health, they rapidly identified 78 children suffering from severe acute malnutrition. In the past month, as the conflict has intensified and the violence has escalated in southern Unity state, the humanitarian and malnutrition situation is likely to have worsened. “Without regular and reliable access to food assistance and nutritional support, many children are likely to have become acutely malnourished,” says Newell. Kume is a three year old boy tested positive for malari. 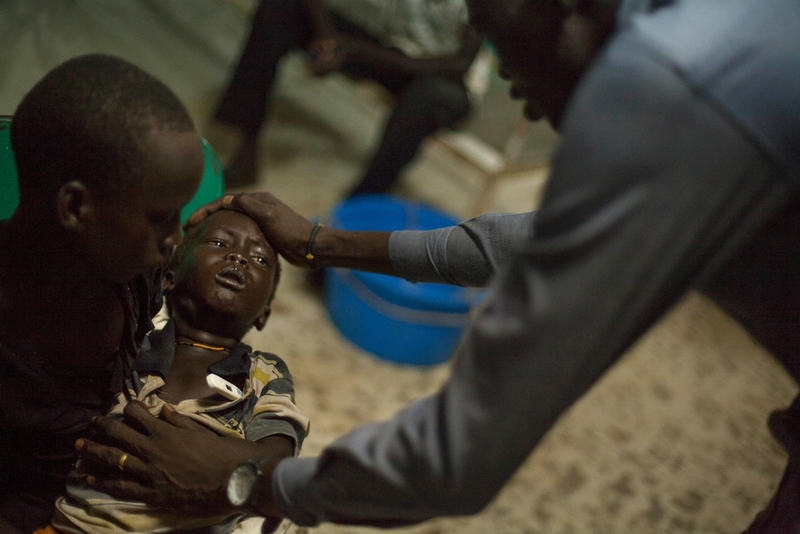 He had a fever of 39.7 when his family brought him into the hospital at Bentiu Protection of Civilians. 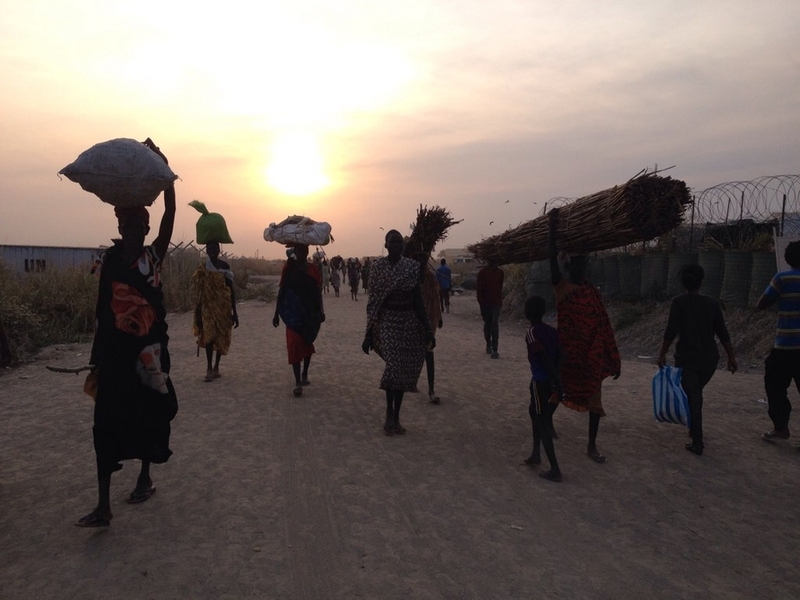 With the ongoing violence, the lack of any humanitarian assistance, the incapacity to protect the civilian population efficiently, and people’s diminishing ability to cope, MSF believes that the humanitarian crisis in southern Unity state is on an unprecedented scale. MSF calls urgently for increased protection of the civilian population and for increased safe access for humanitarian organisations in southern Unity state. MSF has worked in South Sudan’s Unity state since 1988, providing independent, neutral and impartial medical and humanitarian assistance. In the past three months, four MSF staff have been killed and many more are unaccounted for due to the violence in Unity state.